This summer I have taken it upon myself to tackle John Steinbeck’s American epic East of Eden, a modern retelling of the biblical Cain and Abel story set to the backdrop of post-Gold Rush era Northern California—that is, Steinbeck’s own backyard. Summer is, for students at least, that blessed time of intellectual freedom during which schoolwork means almost nothing to you and you are free to read, write, study, and contemplate whatever you wish. And with East of Eden, I knew I would have quite a bit on my plate to read and contemplate. Its generation-spanning grandiose scale leaves the reader marveling as such weighty topics as good versus evil are tackled with aplomb by Steinbeck, an American master if ever there was one. This summer was not, however, filled only with lofty thoughts and high intellectual pursuits, at least not unless you consider basic cable reality TV shows to fall into either of those categories. I, for one, typically do not, which meant that as I watched ABC’s The Bachelorette with my two sisters this summer—sometimes against my will, and, admittedly, sometimes not—there was an unusually strange juxtaposition of philosophical and artistic ideas floating around in my head. For those of you who do not know, The Bachelorette is a reality TV contest in which a group of about twenty-five youngish bachelors compete for the love of one lovely young woman (“deemed eligible,” according to Wikipedia). Picture the crowd of suitors all vying for Penelope’s hand in The Odyssey, only, unfortunately, there is no Odysseus on The Bachelorette to ultimately slaughter all these suitors in righteous fashion. Over the course of the show’s season, the field of contestants is narrowed down until the bachelorette offers “the final rose” to the winner, the grand prize presumably being her hand in marriage, though research suggests the success rate of these relationships, perhaps not surprisingly, is very low. 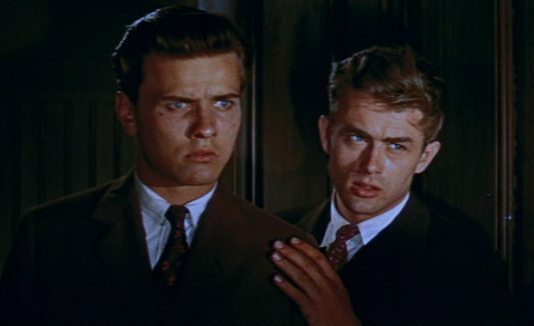 So, the summer is rolling along, and I’m making my captivated way through East of Eden, watching our hero Adam Trask try to make good in this world and save his sons Cal and Aron (like Cain and Abel, get it?) from the wicked ways of their mother-turned-prostitute. To try and summarize this book any further in such short time would be to clutch at straws, but suffice it to say that as plots intertwine, characters grow, and landscape changes, the story becomes not only the chronicle of a family’s history but also a showdown of sin and redemption that is greater than any one character. So there you have it. If we are to believe Steinbeck, it appears that the root motivation of all human striving is to find love of some kind. Whether or not you agree or disagree, it’s a fair point to be considered. And we’re not speaking of purely romantic love, either, for the issue runs much deeper than that. After all, why are you suffering through that intolerable summer internship? Is it because you want someone to “love” you and your résumé when it comes time to enter the work force? Why are you getting drunk again this weekend? Is it to make the route to “love,” of self or from another, a little easier? Perhaps it is, perhaps it’s not. But it certainly helps explain why so many people love watching The Bachelorette, or at least can’t look away from its inevitable weekly on-screen train wreck. Maybe these sharp-dressed, well-tanned, tactless, hopeless TV personalities are, like all of us, merely looking for love. It makes sense. Whether their intentions are “noble” and they truly love this bachelorette or they’re just on screen to ham it up on national television in hopes of scoring another reality show spot, they want nothing more than to be loved by someone, anyone. This realization suddenly casts The Bachelorette in a very sobering light, as you watch these men and women throw their whole lives in front of millions of viewers in an attempt to fill an empty, aching hole. Even Rihanna can probably agree this seems a truly a hopeless place to try to find love against all odds. Sometimes I wonder whether art, be it as lofty as Steinbeck or as kitschy as The Bachelorette, is a reflection of our lifelong journey to find love or if it is itself the effort of the artist to find love. Perhaps it’s both, for the artist certainly beats on against the current of life’s upstream affection struggle just as much as we do. But wherever love is, don’t be discouraged by the pitiful struggles of the contestants on The Bachelorette. Perhaps we’re better off than they are, perhaps we’re not. But it’s out there somewhere, and we’ll find it. Maybe try watching CBS instead.